It finally feels like fall here in Baltimore. Growing up in Pennsylvania, fall was my favorite season. 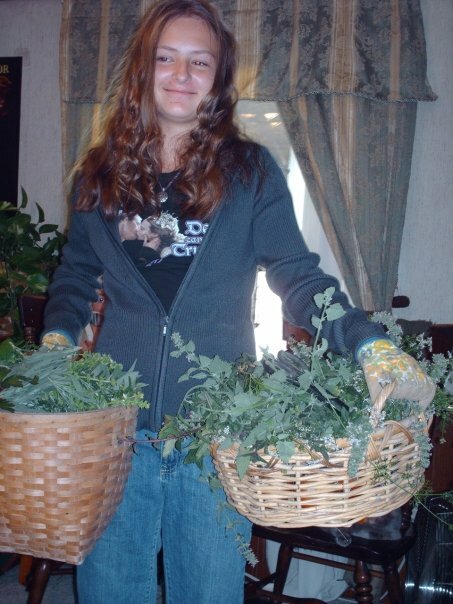 That's when the herb garden was ready for harvesting, when I would find myself buried in the scent of fresh cut spearmint, sage, rosemary...and an overabundance of lemonbalm (a plant that smells like fruit-loops and spreads like wildfire). Now that I'm in the city I miss my garden more than ever. I haven't even been able to keep a potted plant alive in my 3rd floor apartment. Fall has become for me the dreaded cold season, as I type I'm recovering from a sinus infection. Funnily enough, sickness is what got me into drinking tea. One of my favorite book characters, Nynaeve from Robert Jordan's Wheel of Time Series, was a tea drinking healer - who relied on her extensive knowledge of herbs and good sense to help people. She was called a Village Wisdom, and as a teenager I found her determination to be an inspiration. I went to the public library, checked out every book I could find on plants and healing herbs, and with the help of my parents, started a garden in our backyard. From the garden I made salves for my sisters eczema, kept parsley on hand for my mother to use in her cooking & prevent kidney stones, and made fresh herbal teas from spearmint, lavender, sage, or lemonbalm - to sooth friends and family with anxiety. 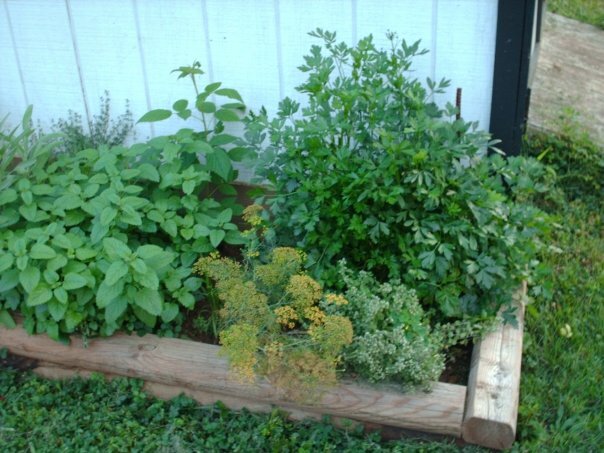 The most important thing I learned from gardening, and herbal remedies, is that healing is like growing: it takes time, and patience, plenty of water, and plenty of sunlight. Health is a garden you must tend everyday, little by little - or else the weeds will creep in, and it becomes much more difficult to manage. Our work-life can run counter intuitive to that. In order to get back to working, we often take the strongest medicine, the fastest recovery, the path of least resistance, remedies that treat the symptoms - but not the illness. I work for a small company that doesn't provide health insurance or paid sick-days, so I can't afford to be sick, and when I am, I have to choose between my health, and paying my bills. We need to start thinking about health more realistically in our country - we need to change our policies to allow the human body time to heal. It is clear to me that our current system prioritizes profit over people. I worry for my friends and family with chronic illness, who are constantly having to make choices like the one I made this week - which is no real choice at all. Our work-life should never mean work vs. life. There is much work to be done to fix our broken health care system, but you can't do it if you're fighting off this weeks cold. 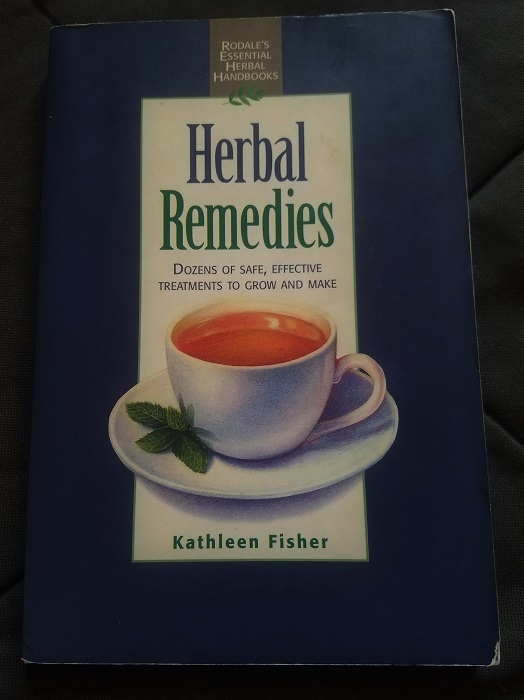 So here's a page out of my old Herbal Remedies Handbook, and a few plants from my friends garden that may help you in the meantime. I think we're all familiar with the most common cold/flu symptoms: sore throat, blocked up sinuses, headache, cough, nausea, muscle-aches, diarrhea. The first and most important thing to do is hydrate. 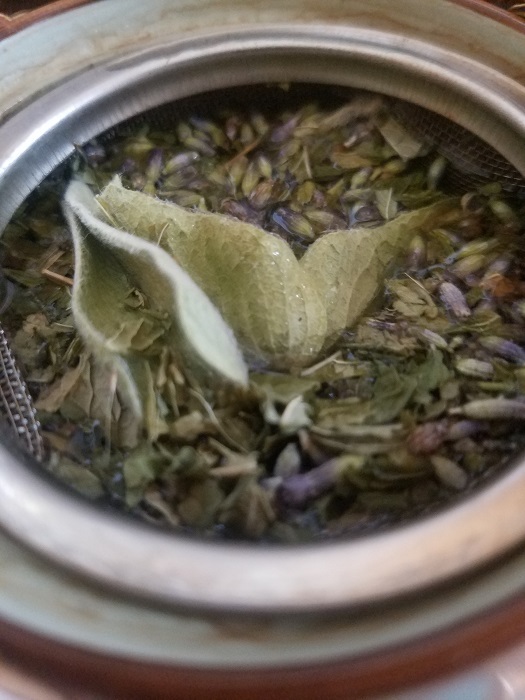 Thankfully, the myth about tea dehydrating you has been debunked- (I knew it) - so you can go ahead and put the kettle on. I chose mint because it quells nausea, is good for digestion, and serves as a decongestant. The lavender is good for relieving tension headache, relaxing the body, and helps aid in sleep - which is another crucial part of recovering from any illness. Sideritis has traditionally been used in Greece to strengthen the immune system and works alongside the mint and lavender to provide cold and flu relief. Adding honey and lemon to your hot tea can help soothe your sore throat and prevent coughing. I think it's better than using a cough drop or taking a cough suppressant, because you can be hydrating at the same time - and it's really the water your body needs. Even with plenty of water, sleep, and tea - remember, it still takes time to heal. Be patient with your body, listen to your body, if you develop a high fever, or your cold lasts more than five days see a doctor (you probably need antibiotics to get better). Also, keep in mind that your health is everyday, not just when you're sick. Getting out in the sun, gardening, moving, eating green things, drinking lots of water, and getting enough sleep is important everyday. It may be the season of flu, but it's also the season of Fall, so why not go outside and enjoy it?